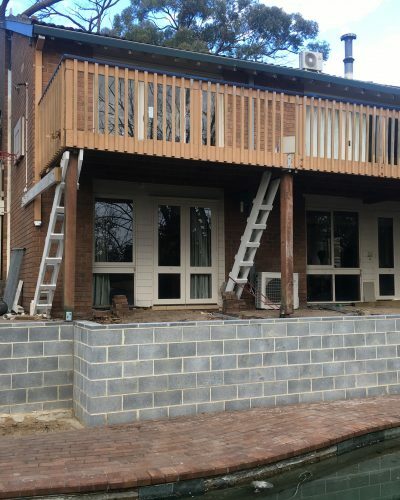 Specialised engineering services compliments our role as a retaining wall builder. 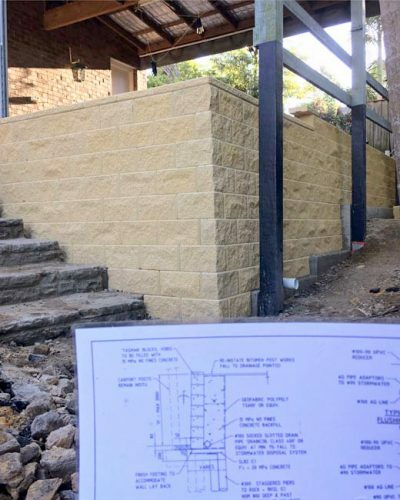 Engineering design for retaining walls gives a detailed direction for the works, and gives us (the builder) a clear plan which has been mathematically calculated to suit your retaining needs. Engineering designs are usually the first point of call for a job and have a strong influence on the overall scope, and cost of the job so it is important to get this initial stage done correctly. Contact us to enquire about our engineering services. We can arrange a site inspection within a week. Our engineers specialise in retaining wall design, which means there is no ‘over engineering’ which hurts the clients budget. We pride ourselves with developing innovative, efficient designs for retaining wall repairs which again, focuses on saving the clients budget. “Two retaining walls were badly damaged in the April 2016 storms. I received a works order from Kuringai Council to repair them both. I had a local engineer draw up design plans but as it turned out they were not fit for purpose, as what was proposed, was extremely difficult to construct…according to each builder who came to quote my job. Retaining Wall Constructions entered the frame and suggested a redesign using their engineering services. As it turned out, their structural design plans were developed technically and specifically for my site conditions, with my budget in mind. RWC designed and carried out the construction of my two retaining walls, which then got certified by their structural engineer and thus fulfilled my obligations to council. I spent countless hours researching and speaking with different tradesmen and engineers about my dilemma, but it was Retaining Wall Constructions who came in themselves and designed, constructed, and certified my retaining walls, all for 15% less cost than the original quotes I received. "Plans were developed technically and specifically for my site conditions, with my budget in mind."